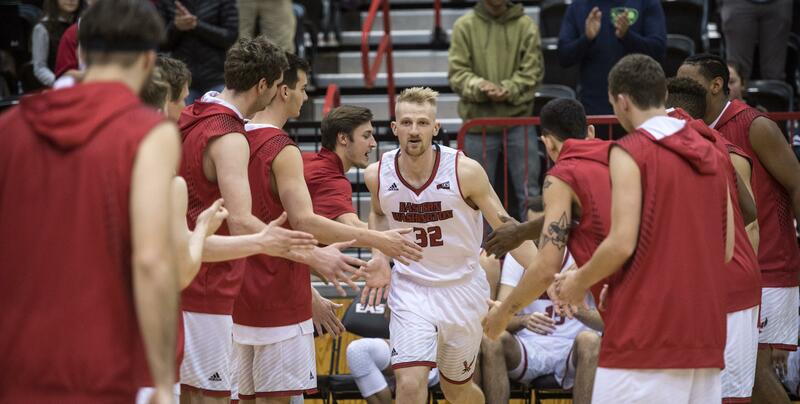 Eastern Washington men’s basketball coach Shantay Legans is taking nothing for granted. The Eagles are coming off a dominant win and face an NAIA team on Wednesday, but Legans hopes his players feel the same way. “You have to prepare for the next game – it’s our next game and it’s our most important game,” Legans said of Wednesday’s game against Providence of Montana, which the Eagles handled by 26 points last year. Even more important, a win would give the Eagles a fifth victory going into Big Sky Conference play. “We want to jump on them and don’t let up,” said Legans, whose Eagles did just that on Sunday to Cal State Northridge to improve to 4-8. Eastern led from start to finish and always by double digits after the first 13 minutes in their first home game in five weeks. Along the way, the Eagles shot 55 percent from the field, 50 percent from beyond the arc and picked up 22 assists. Up next is a Providence squad that’s 7-5 following an 85-74 loss to Montana State Billings on Dec. 8. A private school located in Great Falls, the school was known as the University of Great Falls until earlier this year. The game will not count for the Argos, who have lost exhibition games to Utah State (98-54) and California (81-52). Published: Dec. 19, 2017, 4:41 p.m.